A tale of a family’s journey through terminal illness has won the Wellcome Book Prize. Artist Marion Coutts’ memoir, The Iceberg, describes the 18 months leading up to the death of her husband, art critic Tom Lubbock, after he was diagnosed with a brain tumour. 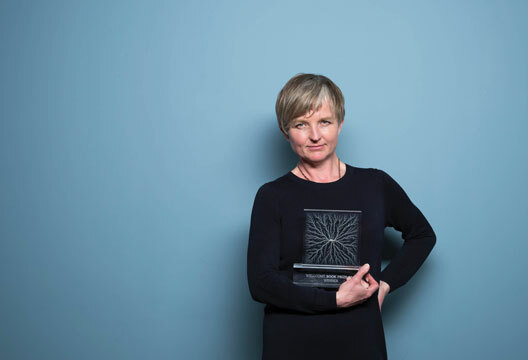 Marion Coutts is an artist and writer and wrote the introduction to Tom Lubbock’s memoir Until Further Notice, I am Alive, published in 2012. She is a Lecturer in Fine Art at Goldsmiths College and lives in London with her son. Worth £30,000, the prize celebrates the best new books, fiction and non-fiction, that engage with aspects of medicine, health or illness. Bill Bryson was joined on the judging panel by psychologist Professor Uta Frith (University College London), bestselling author Mark Haddon, BBC presenter Razia Iqbal, and barrister and broadcaster Baroness Helena Kennedy QC. Another book shortlisted for the prize was Do No Harm: Stories of Life, Death, and Brain Surgery by Henry Marsh. In our June issue, he will be giving a neurosurgeon’s perspective on the brain and psychology.